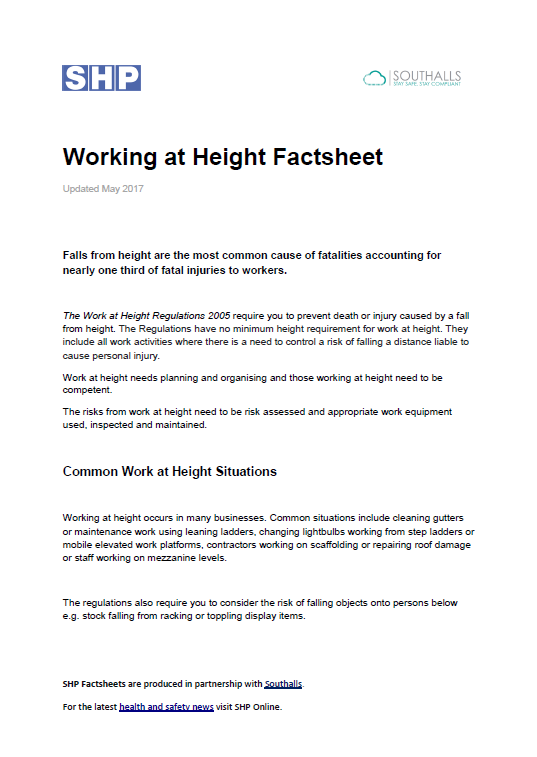 Fill in the form to download your free copy of our new working at height factsheet for key stats, legislation and advice for safety practitioners. There are 10 SHP Factsheets to download, produced in partnership with Southalls. Showcasing exclusive products and services from 350+ leading suppliers, Safety & Health Expo is the place to discover the latest health and safety solutions and innovations for high risk workplace activities.